Religious movies are very tricky because odds are someone will be mad. My stance has always been if it's a well made film then I don't care if it's religious. 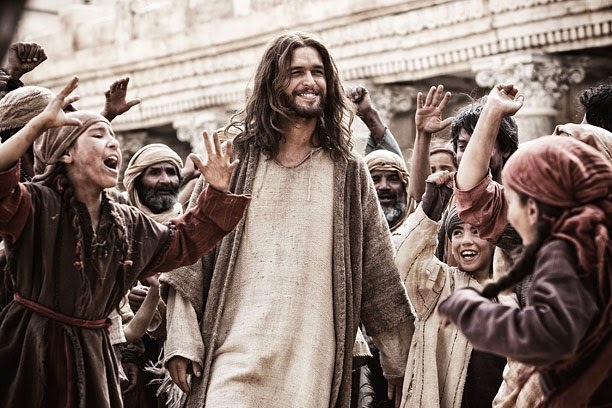 Son of God is a poor and well done movie at the same time. Apparently this was a mini series on the History Channel and according to people who saw the mini series nothing was changed. I never saw the mini series so I can't comment on that but what I can tell you that I can tell this was a mini series. Mini series contain separate episodes and you can tell that there are separate because between each scene is broken up by a fade to black followed by a fade in to the next scene. This happened every single time. That's the biggest complaint I have because it doesn't make the story coherent and just feels like separate episodes. Basically it doesn't feel like a story. I will say it got better about halfway in and it appeared more coherent in terms of story. The acting was fine but nothing to really talk about. The guy who played Jesus was ok in some scenes but in others felt like he was cheesy and trying to hard. The cinematography is fine as well. Some of the shots located in the desert or outdoors were shot well but when it would go to an in closed space it felt like a set. The movie is two hours and twenty minutes and it some parts, especially at the beginning, it dragged. The special effects looked like 1992 computer graphics. I can't suggest this movie because I don't know everyone's religious stance. But it terms of telling a good story and filmmaking in general? No and yes and for that I can only give it a 6/10.